An amazing beetroot salad – a beauty!!! | Is Life a Recipe? 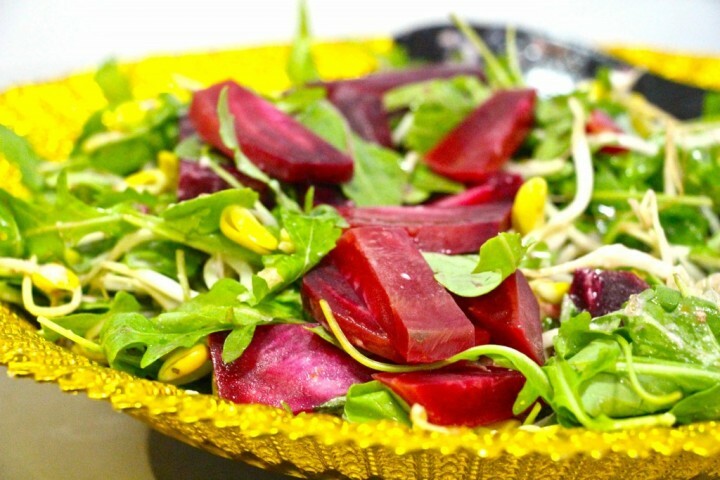 An amazing beetroot salad – a beauty!!! No idea of origin but I think I got the idea from a cookery show hosted in South Africa. Could not 100% validate that though, but hey it is what it is, and what this is is delicious. A lovely salad with citrus overtones that would therefore accompany a dish that is quite rich. Easily enough here for 4-6 people plus. Two stages to this – bloody easy though. So now you have your salad. Simply stir up again the dressing and pour that on over and give one final toss. Serve up – how pretty does this look and wait until you taste. Quite amazing!!! No Replies to "An amazing beetroot salad - a beauty!!!"